The U.S. owned company, which has its international base in Melksham, had identified a requirement to become more reactive to production demands by carrying out their own moulding of components. This would enable them to reduce both the amount of components they held in stock and shipping costs. 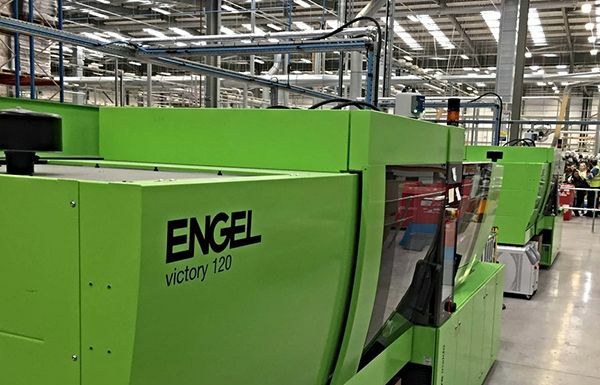 Initial investigation for this project highlighted a key necessity to be able to reduce the machine’s downtime without the need to have longer production runs of moulds. Herman Miller set a target for the mould change time and specifications for the equipment. Requirements included low energy usage, low noise, a side-loading option, magnetic clamping, quick connection of services and globally available components and customer support. Herman Miller reports that since the commissioning of the injection moulding machines they have been able to reduce the amount of stock components they hold. This has freed up space in their warehouse and reduced their shipping costs.